ABC weatherman Graham Creed explained the phenomena to listeners in Sydneyyesterday evening, telling residents not to worry about the threat of any rainfall. 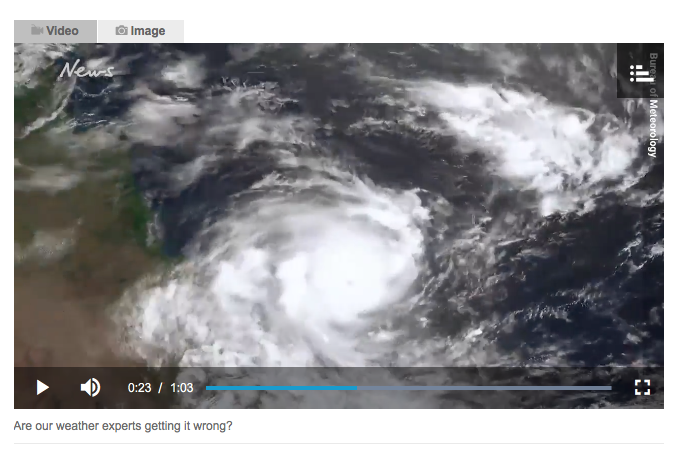 “If anyone out there’s been looking at the Sydney radar, what you can see those echoes moving towards the northern suburbs of Sydney, it’s not actually rainfall,” he said. The reported reason for deploying the chaff was to shield the activity of Australian fighter jets from any potential prying eyes during a training exercise. The air force base is just north of Newcastle but the chaff material began floating south across northern Sydney. The radar countermeasure was developed independently by the German, the UK, US and Japanese militaries around the time of the World War II. Still to this day most military aircraft and warships have chaff dispensing systems for self-defence. “It’s a pretty old technology now,” says Dr Jean Bou from the ANU strategic and defence studies centre. “It’s basically a way to confuse radar. In its original guise … it was basically strips of aluminium foil and it was thrown out of aircraft in the second world war to confuse enemy radar,” he said. A spokesperson from the Australian Department of Defence said chaff was used as part of a “routine fighter jet aircrew” training exercise. The chaff that was released was made up of “aluminium fibres thinner than a human hair which are tightly wound together and then dispersed by the wind when released,” the spokesperson said. While it’s designed to confuse the enemy, given the fact that chaff can appear red on weather radars (the same colour as dark, rain producing storm clouds), it can also temporarily confuse meteorologists. That happened in December when large blips appeared on weather radar over the US states of Illinois and western Kentucky, which the National Weather Service described as “interesting” before the source was revealed to be a military operation. Despite concerns from public health and environmental bodies over the years that the materials used in chaff can cause harm, there doesn’t appear to be a great deal of public research on the matter. Thank you to JB for sharing this story with us at ZG!